Recently, I created a Chabot for a purpose which I wanted to register within. 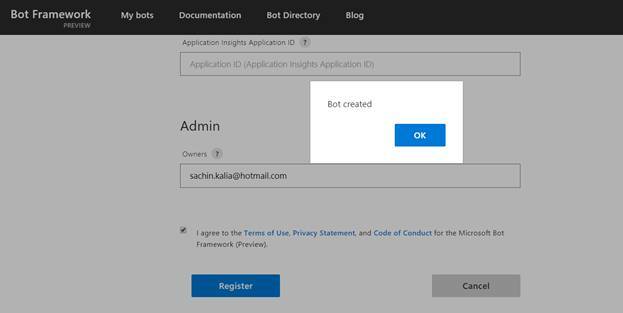 After an implementation of Bot using MS Bot framework, it should be registered with https://dev.botframework.com/bots. These are a few steps which may help you to register and ready to use. Go to https://dev.botframework.com/bots. You will have the following section there as given in the below screenshot. Click on "My Bots" and further, click on "Create a bot". Click on "Create" button as shown in given image and the following window will appear. Choose the first option from the given screen and click OK.
As soon as you create click ok, it generates AppId which might be essential at down the level during accessing the Bot which you have created. 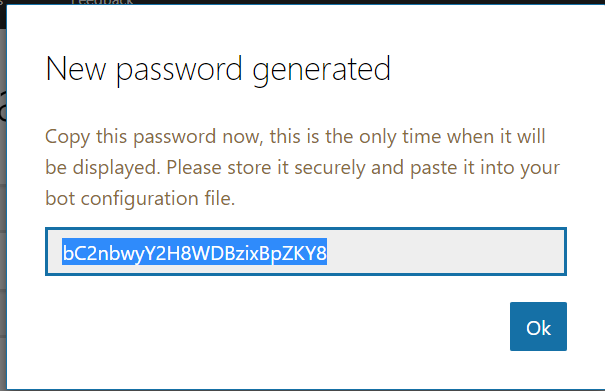 Click on "Generate an app password" to continue. Kindly save this password in Notepad for future purpose. After performing all the above steps, it is time to set configuration as given below. Once you are done, click on register and it will prompt to as Bot created in the given screenshot. As soon as you have created and registered your Bot, click on the recently registered Bot as depicted below in the screenshot. 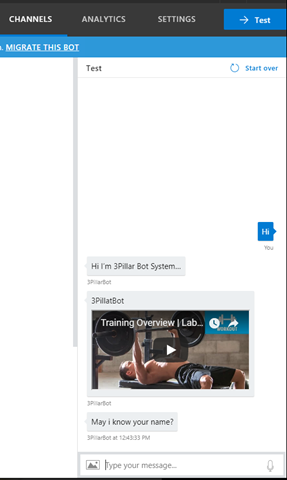 It will take you to the next level which advises you to test your Bot. Click on the Test button showing in right top corner. Click on that. It will prompt you another window and put "hi" in the chat window. As soon as you type something, it starts responding you which confirms that Bot has been register successfully.